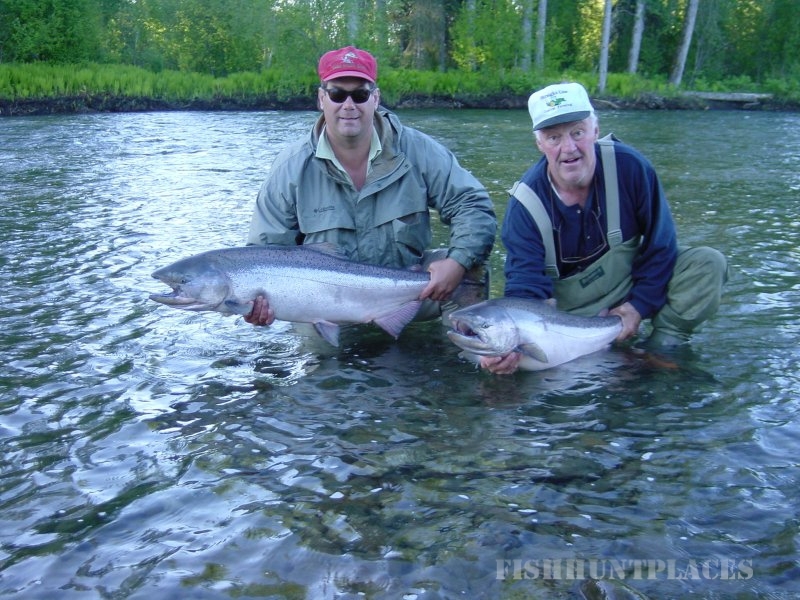 Lake Creek is located 65 miles NW of Anchorage and is part of the vast Susitna Valley. Lake Creek flows 55 miles from the foothills of Mt. McKinley to the broad glacier fed Yentna River. Its crystal clear waters and Chelatna Lake headwaters provide the ideal habitat for all 5 salmon species as well as native Rainbows, Grayling and Northern Pike. Lake Creek is one of south central Alaska’s most famous streams. The stream supports annual returns of king salmon numbering up to 10,000 fish with the other salmon species combining for a total nearing 70,000 fish. Lakecreek Anglers can also target healthy populations of rainbow trout and Arctic grayling. 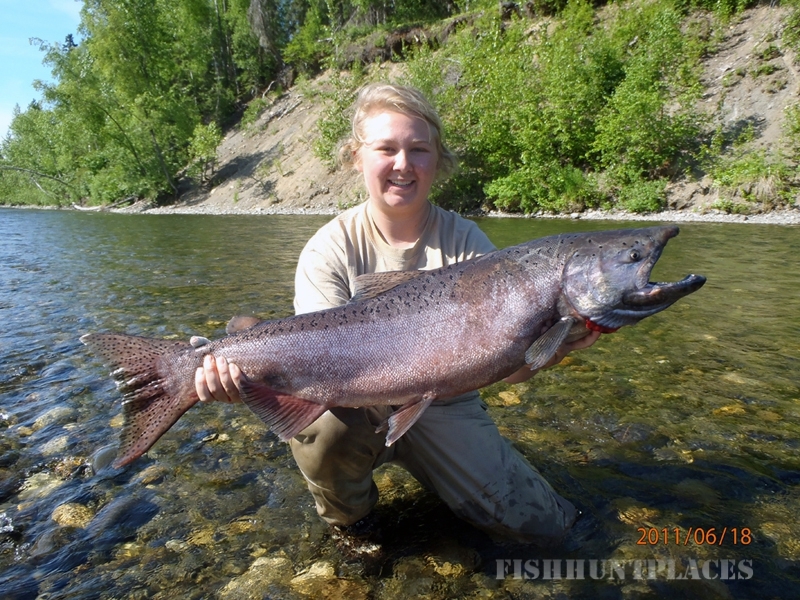 The king fishing is best from the first week of June through mid-July. The Kings average 25 to 35 pounds in Lake Creek, with fish up to 65 pounds being caught annually. 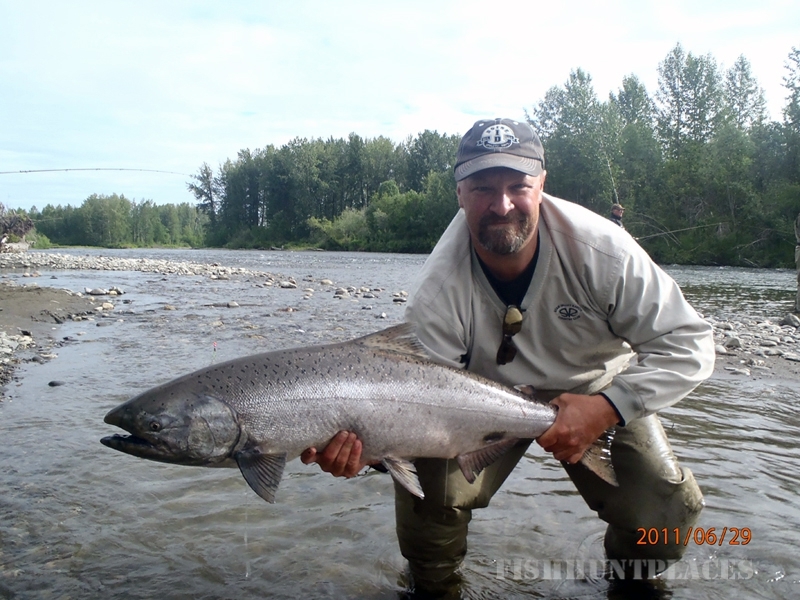 Sockeye salmon are available from mid-July to mid-August, with the peak of the run occurring in the last week of July. Large numbers of pinks and chums swarm into the creek in strength during the month of August. 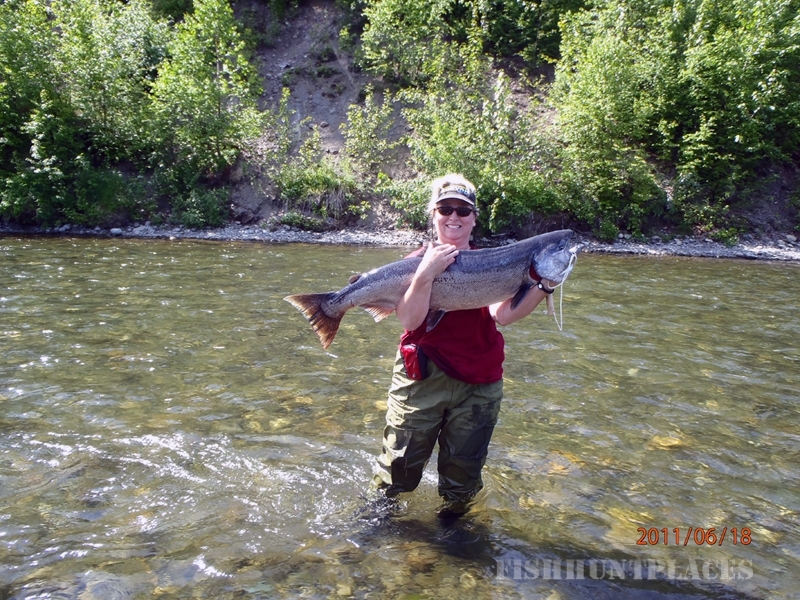 The silvers enter into Lake Creek as early as the second week of July and continue until early September. This run can be quite notable and has its peak from the end of July to the third week of August. If you are seeking to have highly productive days, you might prefer to fish for rainbow trout and Arctic grayling in Lake Creek’s waters during early June or in the autumn, from late August through mid-September. Although both species are available all season long, September produces rainbows and grayling that have gorged themselves on the delicacies of a summer migration of salmon. Catch-and-release is encouraged to maintain healthy populations for others to enjoy.